Every once in a while, the magnetic field of this planet reverses and until recently we never understood why. This is a mystery many have wondered about for quite some time now but it seems answers are finally coming about. Research from a recent study is finally beginning to put things into perspective. You see, there seems to be a deep relationship between the amount of ocean floor that descends from the surface into the mantle beneath and the magnetic field of our planet itself. Something known as subduction might hold all the answers we have been looking for. Better understanding the mantle itself could be the key to a lot of things. Even though the polarity of the magnetic fields has flipped many times the Earth’s magnetic field has continued to exist for billions of years. It has been here long before us and will likely be here long after us. It even leaves fossilized magnetization in many rocks that form at the surface giving us a palaeomagnetic record of the field itself and how it has changed as time has gone on. 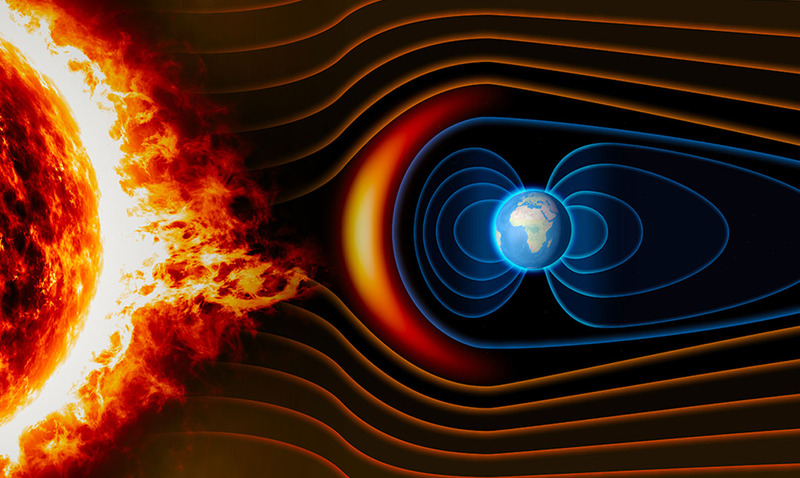 Ascertaining the cause of variations in the frequency of geomagnetic polarity reversals through the Phanerozoic has remained a primary research question straddling paleomagnetism and geodynamics for decades. Numerical models suggest the primary control on geomagnetic reversal rates on 10 to 100 Ma timescales is the changing heat flux across the core-mantle boundary and that this is itself expected to be strongly influenced by variations in the flux of lithosphere subducted into the mantle. A positive relationship between the time-dependent global subduction flux and magnetic reversal rate is expected, with a time delay to transmit the thermal imprint into the lowermost mantle. We perform the first test of this hypothesis using subduction flux estimates and geomagnetic reversal rate data back to the early Paleozoic. Subduction area flux estimates are derived from global, full-plate tectonic models, and are evaluated against independent subduction flux proxies based on the global age distribution of detrital zircons and strontium isotopes. A continuous Phanerozoic reversal rate model is built from pre-existing compilations back to ~320 Ma plus a new reversal rate model in the data-sparse mid-to-early Paleozoic. Cross-correlation of the time-dependent subduction flux and geomagnetic reversal rate series reveals a significant correlation with a time delay of ~120 Ma (with reversals trailing the subduction flux). This time delay represents a value intermediate between the seismologically constrained time expected for a subducted slab to transit from the surface to the core-mantle boundary (~150–300 Ma), and the much shorter lag time predicted by some numerical models of mantle flow (~30–60 Ma). While the reason for this large discrepancy remains unclear, it is encouraging that our novel estimate of lag time represents a compromise between them. Although important uncertainties in our proposed relationship remain, these results cast new light on the dynamic connections between the surface and deep Earth and will help to constrain new models linking mantle convection, the thermal evolution of the lowermost mantle and the geodynamo. Finding out more about the mantle will benefit us all. If we can begin to understand these kinds of things on a deeper level we might open up a whole chest of unanswered questions that will finally have answers.